Very quick post tonight as we’re at class and then off to see San Andreas, which will really set my phobia of dams at ease. 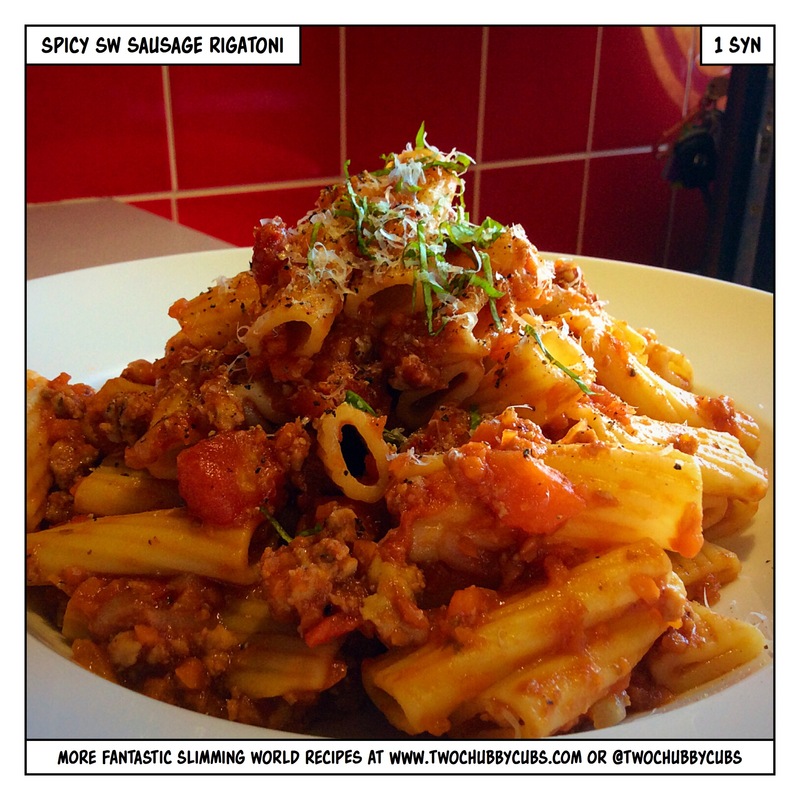 This recipe came about because we think the Slimming World sausages taste like someone has emptied their Dyson into a condom and sealed it up. They’ve got as much kick as a dead horse. Least they’re syn free though…right? So, to liven them up, we’ve released the meat from the skin, made it into a spicy sauce and served it with rigatoni. NATCH. You could make this syn free, just omit the wine and replace with beef stock. But like you’re going to do that eh, beetroot-nose? This serves four, so it does. dish up, adoring it with shreds of basil and finely grated Parmesan. Rejoice! A recipe that makes the SW sausages even tastier! Somehow, by adding flavour, they become delicious! I have to say, this was one of my favourite meals in a long time. Good for taking into work the next day too. ← COMPETITION: win two Slimming World books! Made this last night with 5% fat pork mince. It was a hit!